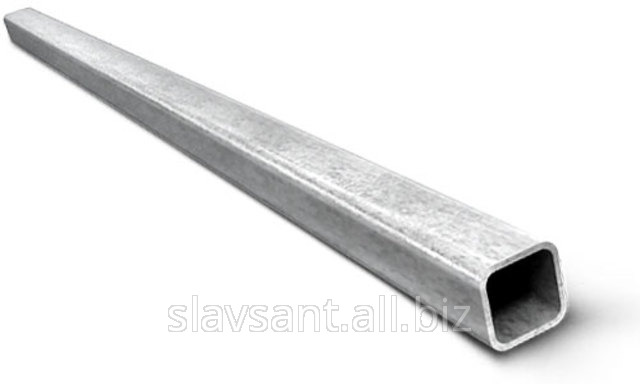 It is possible to call a profile pipe safely universal construction material - thanks to it you can build a fence, an arbor, a handrail, and that the most interesting - a framework of any modern building cannot be presented without profile pipe! Why you should buy a profile pipe from us? First, we producer. In any market or a hardware store you will not find the price below, than at us. Our enterprise is the only thing in Ukraine which introduced the latest, provided by an European standard to application since 2015, technology of quality control of a welded seam (the "weakest" place of a profile pipe) - a spectral termografiya. The unique hardware and software system of the German production solving this problem allows to declare safely - our seam will not burst! If you need to weld among themselves two profile pipes, then you will make it with ease - our saws of a cold cut of the Swiss production allow to cut pipes with excellent quality of an end face. It is known that welding of two pipes at which ends are present an agnail (typical defect when cutting pipes on friction saws which are applied at the majority of plants) demand preliminary processing of an end face of a pipe. With our pipes to build the relations much more simply.